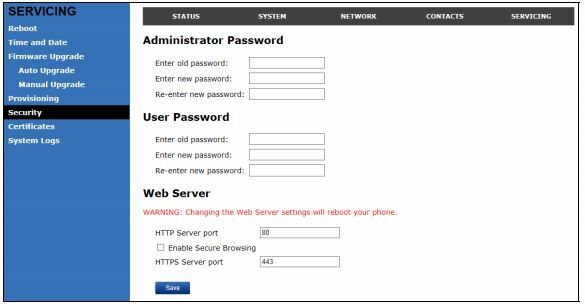 What is the Default Admin Password for the VTech VSP600 DECT Base Station? Our tech support team at VoIP Supply offers great pre- and post-sales support plus provisioning, consultations, configuration, and installation help. We get a lot of VoIP hardware and software questions and would like to share the solutions with everyone. In previous Mom’s calling Q&A series, we have discussed: How do I configure a large number of Yealink phones? Today, we have more new questions and answers from VoIP users just like you. What is the Default Password for the VTech VSP600 DECT SIP Base? 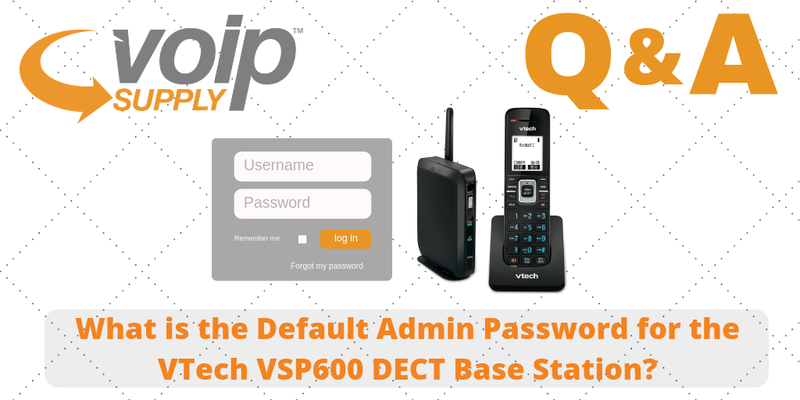 Q: What is my default admin password for my VSP600 DECT base? Where do I change the password? Go into your WebUI and find the “Security” tab from the menu on the left. Enter and re-enter a new password. Note that the password is case sensitive.